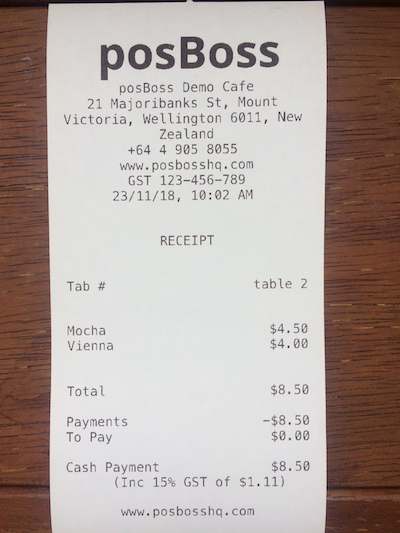 What is the difference between printed orders and receipts and what do they look like? 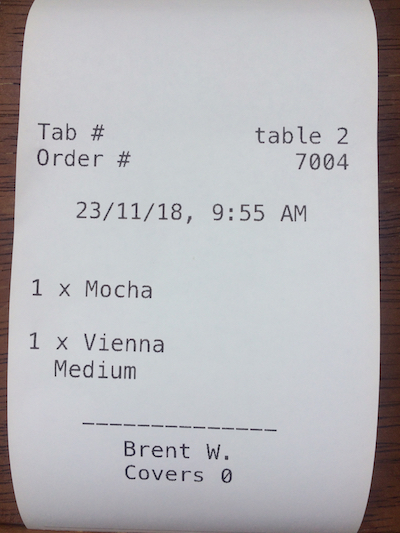 Let's break down Order Dockets and Receipts! Order Dockets - are used to print customer orders to the kitchen or service area. Tab names, order numbers and table names (if using table layout) will display. All items and mods will appear and will display the item's Button Label name. NB: If using the Epson U220B - the font will be a little smaller than below. Your logo and company information will appear on the top, including the GST Number entered in your settings. All items and mods that have a price associated will be displayed. Anything with a $0 value will not. If a partial payment is made, all the items will still appear in the itemised list.